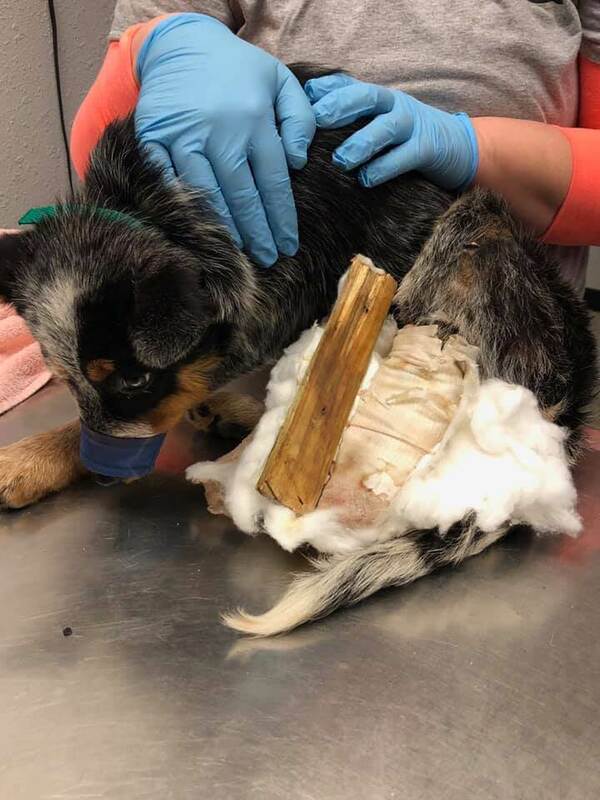 A three-month-old puppy, with a mangled leg and her bone exposed, was rushed to an emergency veterinarian hospital on Friday evening in Austin, Texas. 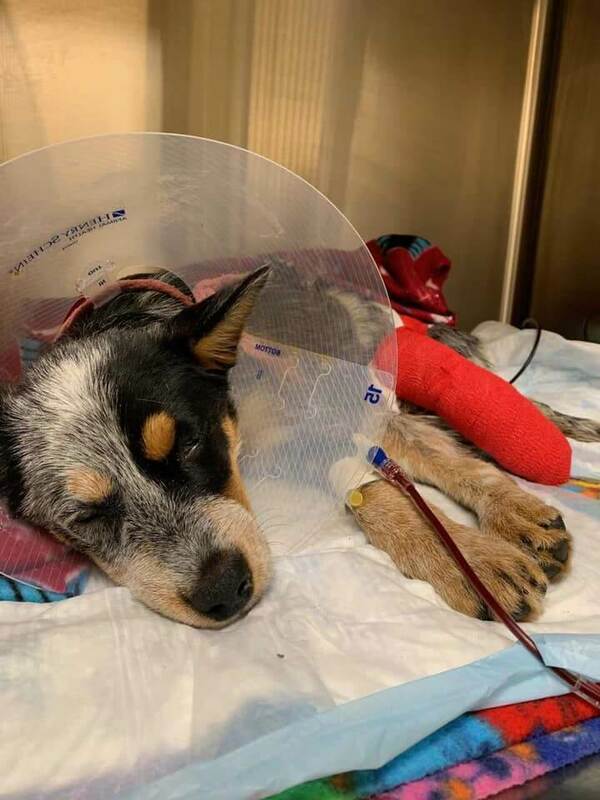 Animal Control had been called to the owner’s home after receiving a complaint about a puppy suffering from a concerned neighbor. 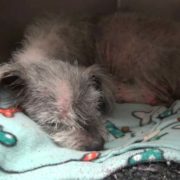 According to Rescue Dogs Rock NYC, who were notified when the puppy was rescued, immediately stepped up to help. 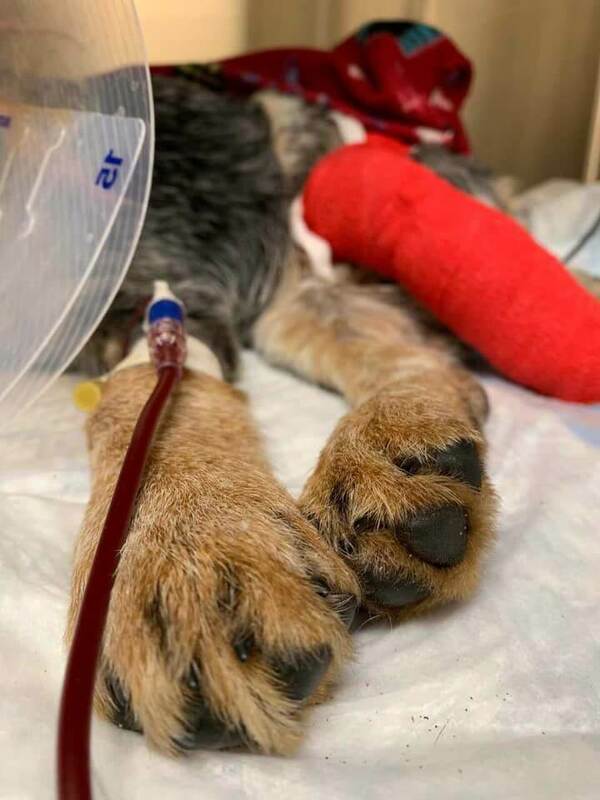 The staff at the Austin Texas Emergency Hospital administered a life saving blood transfusion because the puppy had gone into septic shock from the raging infection in her leg. 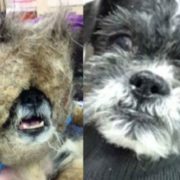 Since the accident, no professional veterinary treatment had been sought. It is unknown how long she had been left to suffer. 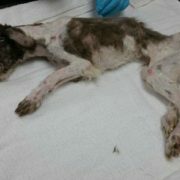 Authorities are pursuing animal cruelty charges against the owner. 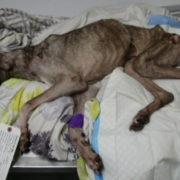 The puppy, dubbed JoJo remains in critical condition. 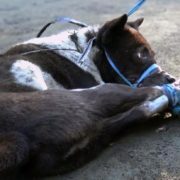 Her leg is expected to be surgically removed. So because of this monster of an owner, this 3 month old pup will loose her leg. Can’t afford vet care, ask the vets office where you can take your dog to have her treated and let them know you can’t pay the bill. 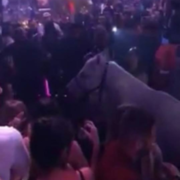 They will not turn away treating an animal especially like this one, but you give up ownership. This scum had to do that anyway, but not has charges brought against them. 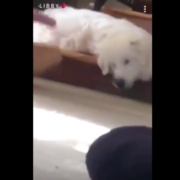 What happened to this pup to cause such damage? 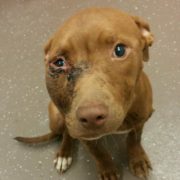 Thanks again to RDR of NYC for saving this pups life. What in hell did they think was going to happen!! ? A miracle healing? That poor pup! Wishing many untreated broken bones to the HEARTLESS BRAINLESS owner! Thank goodness there was a neighbor who saw this and reported it. The owner obviously didn’t care about the puppy. Thank goodness that Rescue Dogs Rock NYC is there to help out. My opinion of some of the people in Texas isn’t much. We are seeing too many stories like this coming from Texas!